In the past couple of years, a great deal of cybersecurity attention has been focused on mitigating and combating distributed denial of service (DDoS) attacks. The attention is justifiable; DDoS attacks have wreaked havoc on companies and organizations across the globe, striking 84 percent at least once between Q4 of 2016 and Q1 of 2017. In fact, DDoS attacks even ventured into the mainstream consciousness, making household news as it almost accomplished what no Kardashian could: break the Internet. But lurking behind the scenes of the DDoS discussion has been the rise of attacks occurring in layer 7, the application layer, which is responsible for a variety of services ranging from file transferring to website viewing. 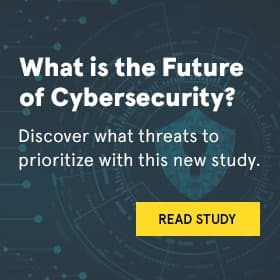 “Application layer threats have become equally as damaging as DDoS attacks, and perhaps more frightening,” said Barrett Lyon, Vice President, Research and Development of Neustar Security Solutions. “Application layer attacks are among the most difficult attacks to detect because they provide little to no advance warning before they strike at your critical applications,” Lyon added. To help companies achieve an always-on, comprehensive security posture, Neustar recently announced the addition of a web application firewall (WAF) solution to its always-on DDoS mitigation service, SiteProtect. The Neustar WAF is cloud-provider, hardware, and CDN agnostic, making it compatible wherever applications are hosted. Integrated with Neustar SiteProtect – an always-on DDoS mitigation service – WAF users now have a holistic, layered protection stack that proactively prevents bot-based volumetric attacks as well as threats that target the application layer, such as SQL, XSS, CSRF, session hijacking, data exfiltration, and zero-day vulnerabilities. As the threat landscape continues to evolve and attackers refine their strike capabilities, Neustar remains well positioned to continue protecting customers’ infrastructures and capabilities. “By adding a WAF to our security stack, we’re doubling down on our promise to provide comprehensive security,” Lyon concluded.